Jesus left us with a mission: to tell people about him (Acts 1:8), make disciples (Matthew 28:19), and to be his body (Ephesians 1:23). The way Jesus told us to remember him and to be his body was to gather together for a meal: for Eucharist. Much of his teaching happened around meals. 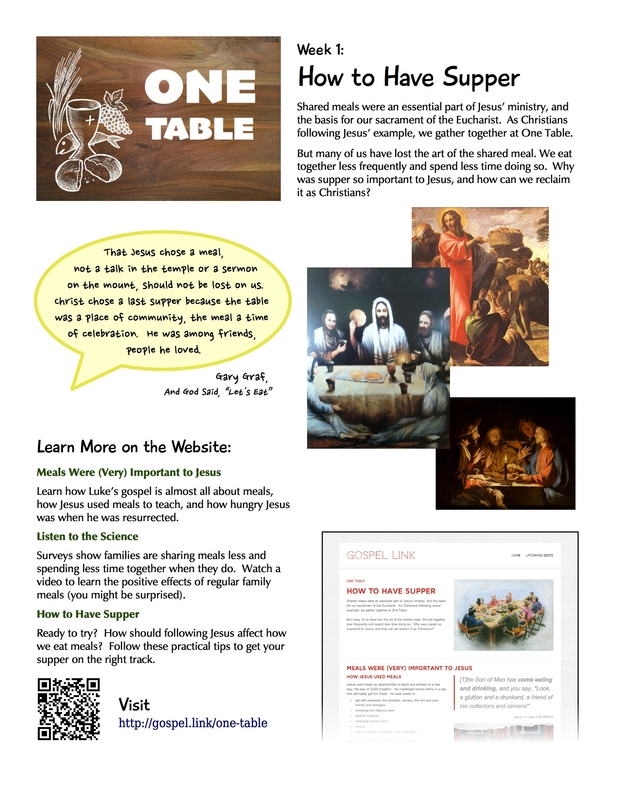 What was so special about meals for Jesus, and how did Jesus change our understanding of them? Jesus used meals to teach us about how to live with each other in community, despite all our differences. Perhaps share stories about your personal experiences of meals, whether growing up or more recently.